Hamas founder and senior leader Sheikh Hassan Yousef, recently released, was re-arrested and detained after a meeting in Jenin. Hamas founder and leader Sheikh Hassan Yousef was re-arrested by the IDF Wednesday and taken to an undisclosed location. Yousef was stopped up at the Zatara checkpoint south of Shechem, according to the Bethlehem-based Ma'an news agency. He was reportedly “held at the checkpoint for hours before detaining him,” witnesses said, after attending a meeting in the Samaria city of Jenin. His wife and several of his children were with him at the time. The Ramallah-area resident had been released a few days earlier after serving a six-year sentence in an Israeli prison. Yousef was originally from the village of Al-Ghaniyeh, and was a key player in the founding of the Hamas terrorist organization. Last month he was one of 200 Palestinian Authority Arab prisoners who were freed early as a goodwill gesture for the Islamic holy month of Ramadan. “The Israeli policy of kidnapping the elected legislators and officials will not succeed in deterring the Palestinians from pursuing their legitimate rights of liberation and independence,” Dr. Ahmad Bahar, deputy head of the Palestinian Legislative Council (PLC), said in response to the arrest. 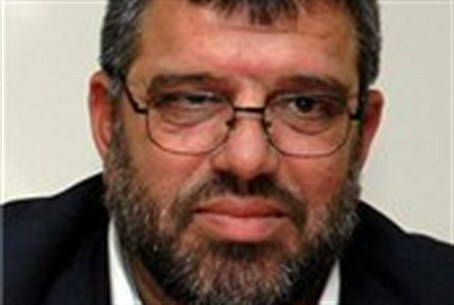 The senior Hamas leader is considered a popular grassroots activist among the PA Arab population in Judea and Samaria. Yousef's son, Mosab Hassan Yousef, converted to Christianity several years ago and moved to the United States. There he published a book, “Son of Hamas,” on his experiences as an agent for the Israel Security Agency (Shin Bet) over 10 years.